Thread: Possible Virus on Board? About two weeks ago when I opened the message board I would get the standard file download message box. The run or save file box that you get when you are attempting to download a file. All I was doing was opening gsufans.com. The only way I got it to go away was to reboot the computer. 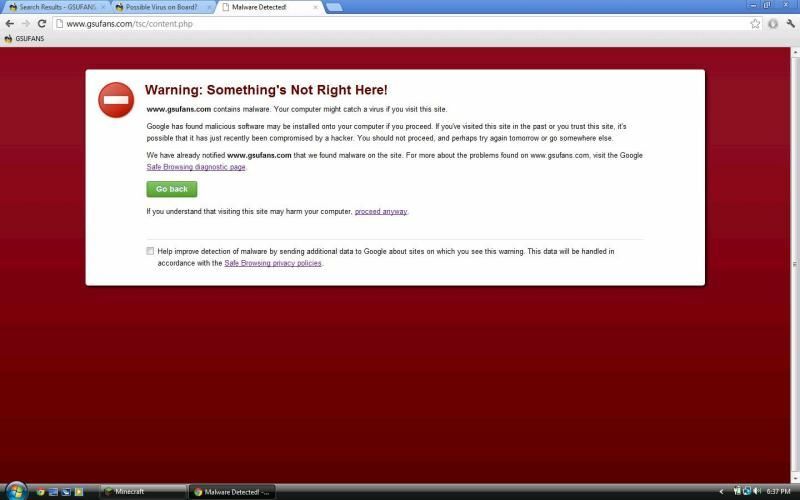 Today, AVG gave me a threat warning when I opened gsufans.com. I let AVG handle the threat but was required to reboot after AVG quarantined the threat. When I rebooted, everything was OK until I tried to open gsufans.com. I got the threat warning again and I let AVG quarantine the file. This time I did not have to reboot and everything is (I think) running OK and have been able to open gsufans.com with no problem. Is anyone else having similar problems? Re: Possible Virus on Board? I have been having problems trying to access the forum from my tablet. When I click on the forum it downloads some file that I can never open. I used to be able to access the forum from my tablet before, but not anymore. Hopefully the upgrades to the code we're doing this weekend will resolve some of these issues. If you get specific error messages or warning from firewalls or software meant to block such critters, please be sure to forward me that information via email. I just emailed you a screenshot of the warnings I've been getting this afternoon. I'm not smart like y'all to figure out what's going on. I'm getting the warning from Chrome that "something's not right here"
I coulda told 'em that. For the first time, I'm getting this message today as well. I got the same warning Cannon got. I get a similar warning, but it's worded a little differently. www.gsufans.com contains content from usbbasedfoursquare.pro, a site known to distribute malware. Your computer might catch a virus if you visit this site. We have already notified usbbasedfoursquare.pro that we found malware on the site. 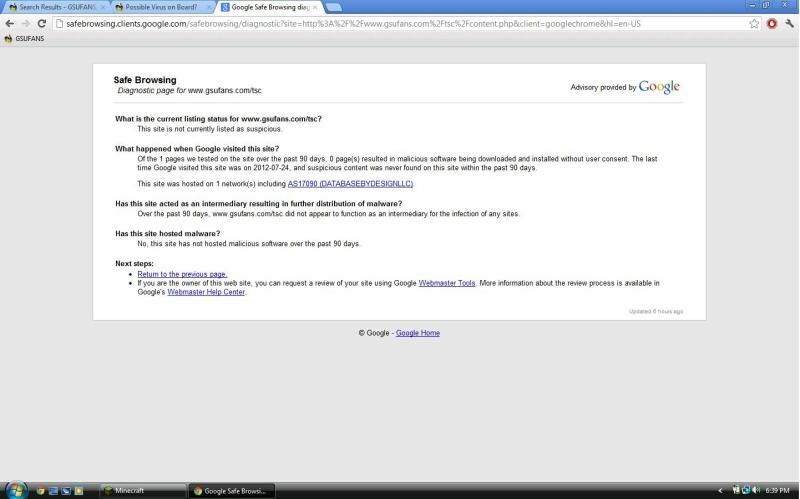 For more about the problems found on usbbasedfoursquare.pro, visit the Google Safe Browsing diagnostic page." Got a warning this morning also from ESET. Getting the same warnings from Firefox.